This post is sponsored by OrganicGirl. All thoughts and opinions are my own. OrganicGirl products are 100% organic and they never contain anything artificial. 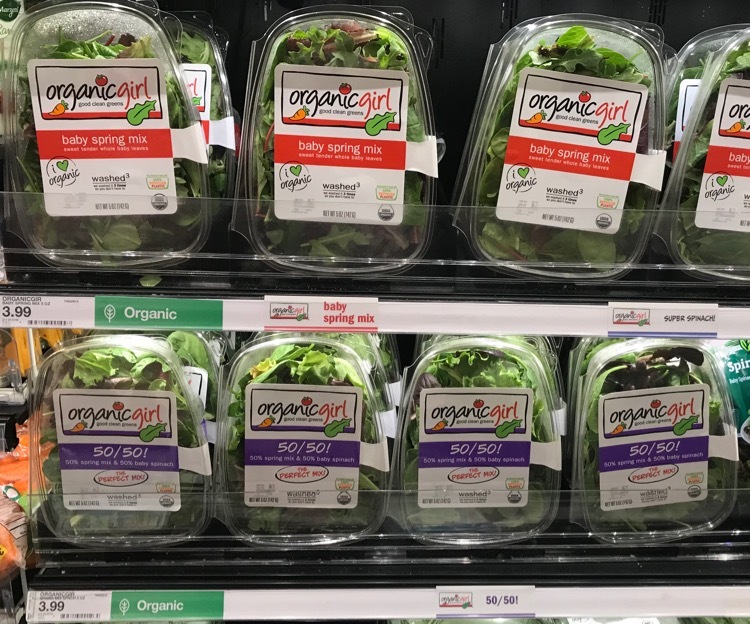 Their products are fresh and flavorful and now OrganicGirl salads and dressings are carried at select Target stores in the West Coast, Western, Midwestern, and Northeastern states. 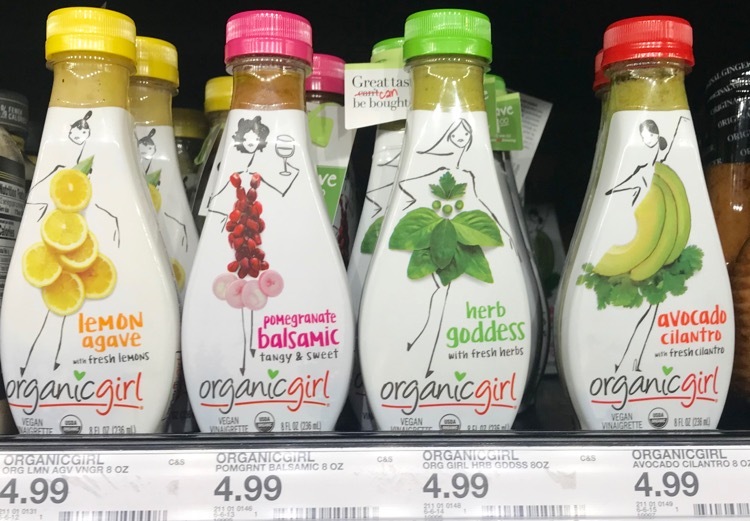 You can go to Target.com to determine if your store carries the OrganicGirl line. 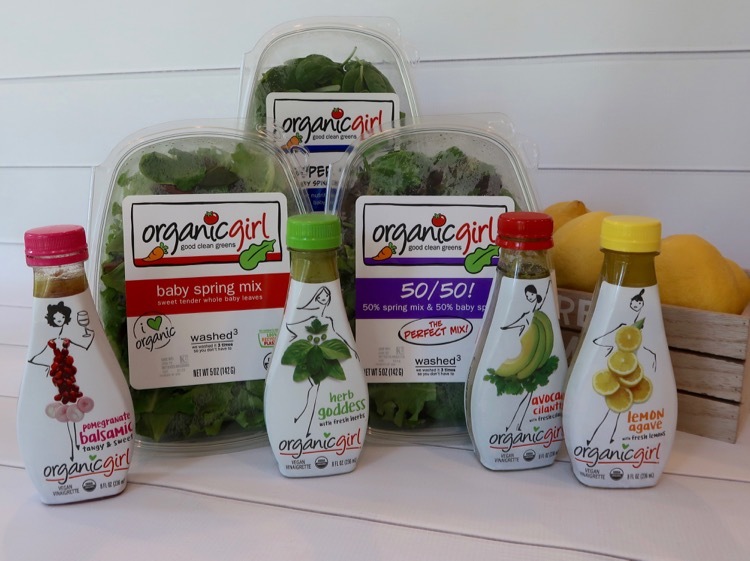 The OrganicGirl dressings are so fresh and flavorful! It’s hard to pick a favorite, but I think the Herb Goddess dressing is mine. 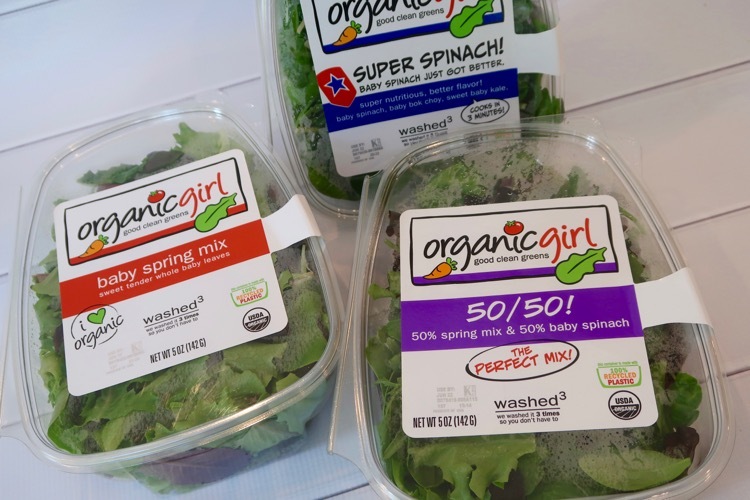 OrganicGirl’s good clean greens are created with premium quality greens. 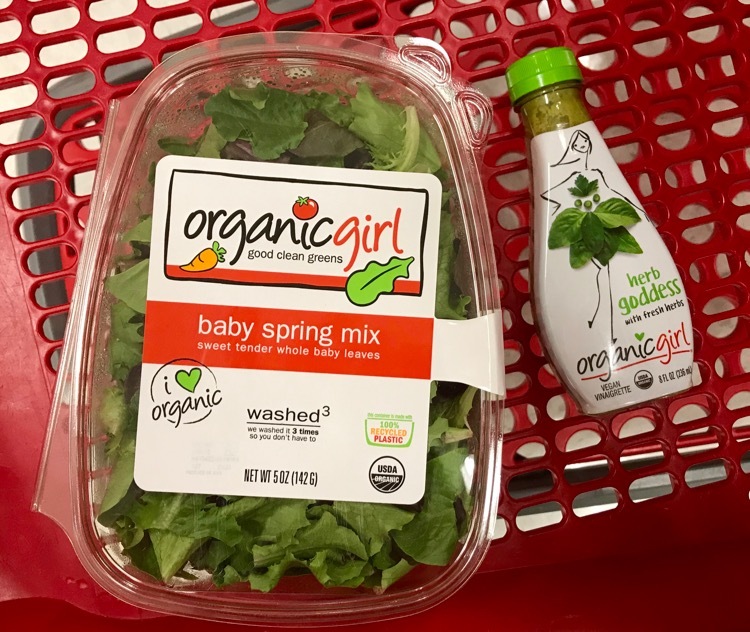 You will find a great selection at Target stores, like the Baby Spring Mix, 50/50 Mix, Super Spinach, Baby Spinach and more. I love that the green have been washed 3 times, so you don’t have to. You can just open and enjoy! 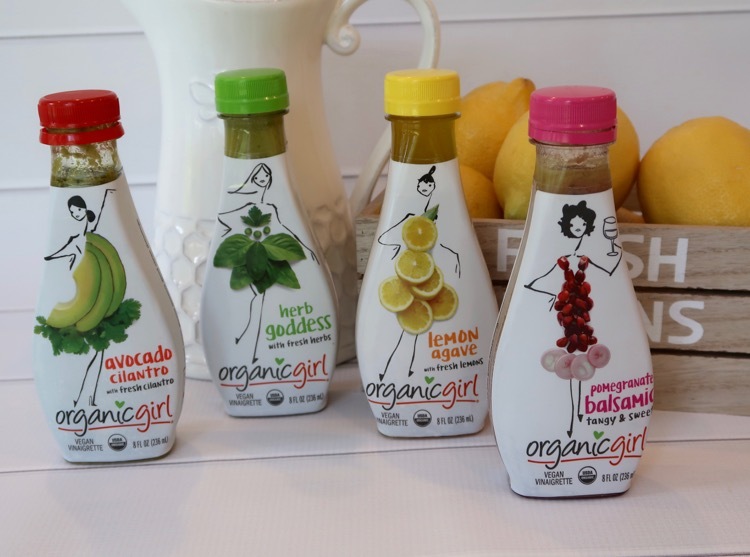 OrganicGirl Fresh Designer Dressings are made with 100% organic fruits and vegetables. The fresh whole fruits and veggie are blended with herbs, oils and spices to create fresh dressings that you will love. 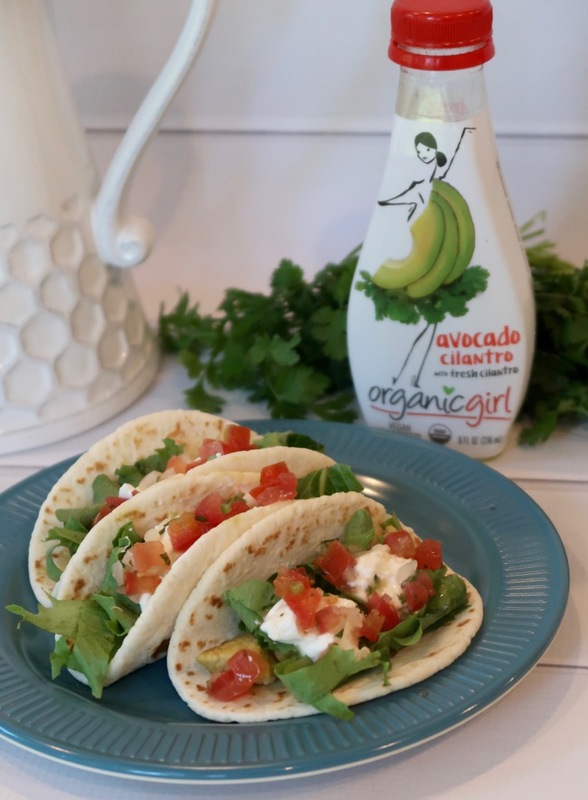 Target carries four of the yummy flavors, you’ll find Avocado Cilantro, Herb Goddess, Lemon Agave and Pomegranate Balsamic. All of the dressings taste fresh and are bursting with flavor. 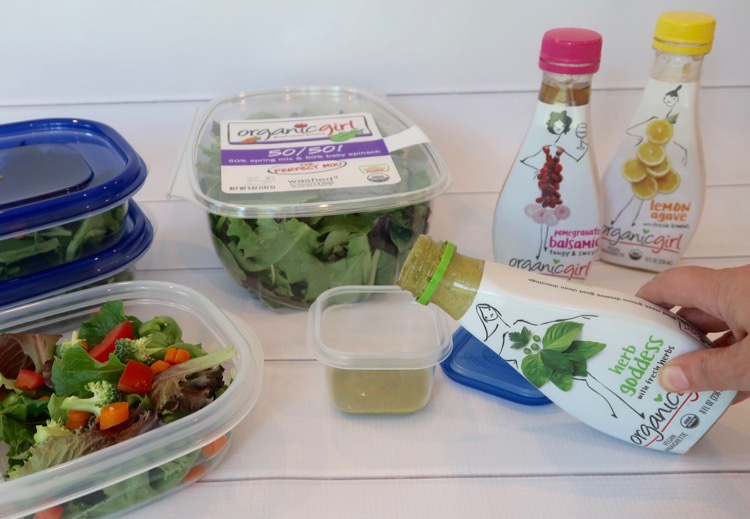 Here is a peek at how we use the OrganicGirl salads and dressings at our house throughout the week. We usually always have a salad with dinner and with the OrganicGirl greens there is no lettuce chopping involved. I can make a salad super quick. The variety of dressings is great too, we can find a flavor to compliment whatever we are serving for dinner. I prep lunches at the beginning of the week to make lunch time a breeze at home or on-the go. Filling containers with OrganicGirl salads and nuts and cheeses takes no time at all. This is a huge time saver the helps make our week run smoother. With the meals, I also prep individual servings of the salad dressing. It’s great to have a different flavored dressing for each day. 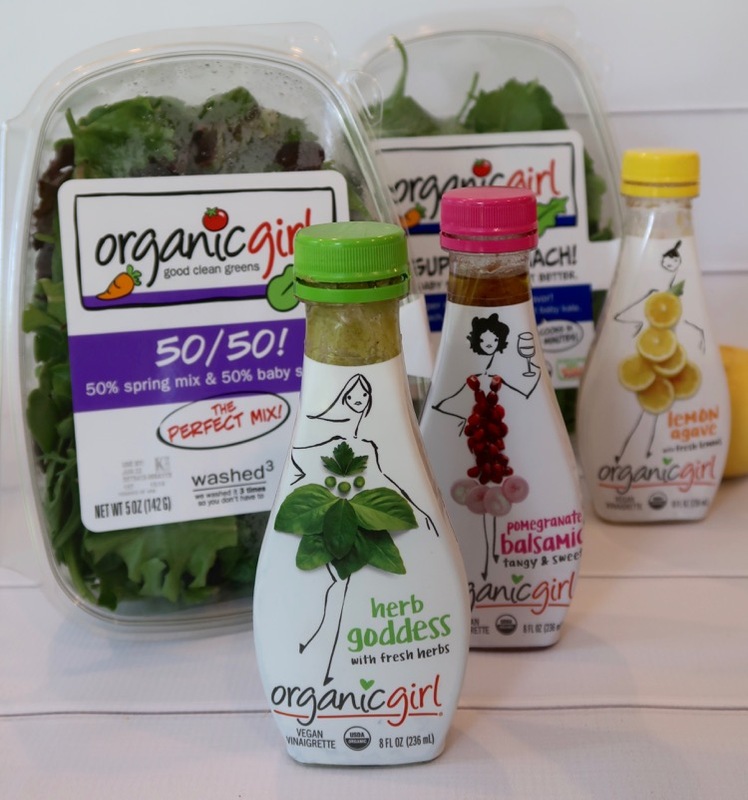 We use the OrganicGirl spinach in our smoothies. My daughter is a smoothie making machine! 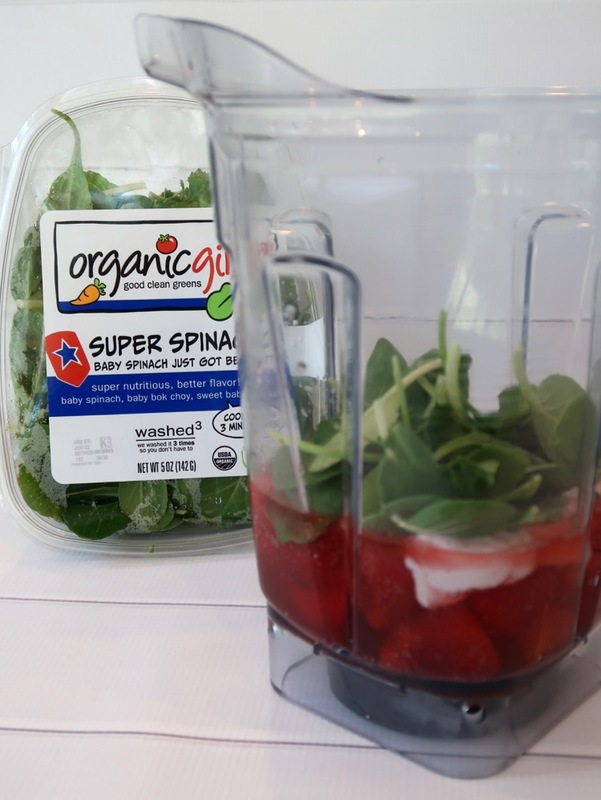 She almost always has a smoothie for breakfast and by adding the OrganicGirl Super Spinach she is adding lots of nutrition to her smoothies. I also recently used the Avacado Cilantro dressing as a marinade for our chicken street tacos. If you want to give it a try too, I recommend marinating overnight. So yummy! 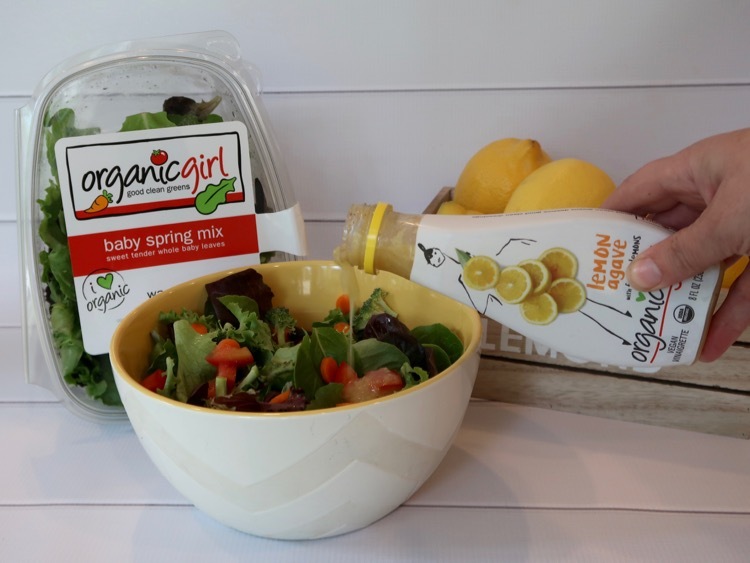 Now is a great time to give the OrganicGirl salads and dressings a try, because they have a great printable coupon to get the OrganicGirl salad for FREE when you buy any OrganicGirl dressing. 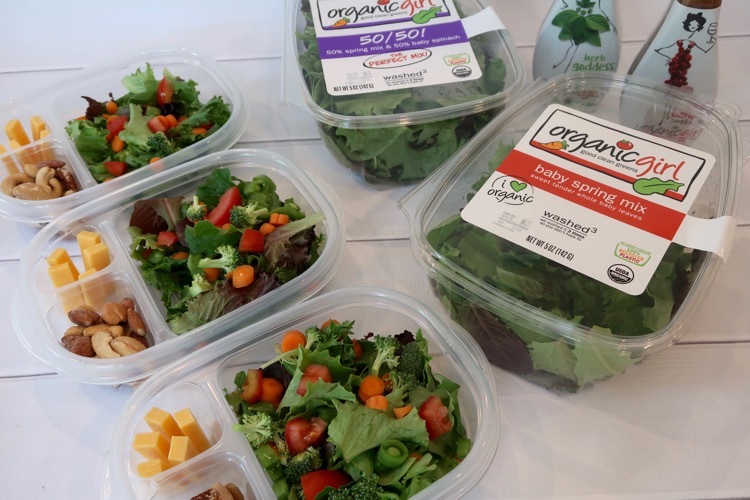 Make sure you swing by the fresh food case at the end of your Target run so you can take home some of the fresh OrganicGirl greens and salad dressings for lunch or dinner.